Some of you have witnessed the gradual style and sensibility shift over the years which in sum total is not so subtle. The reasons behind this shift are many and very consciously acted upon. One guiding principle remains the same: to work with the best vineyards we can find and to reveal the beauty and nuances of these vineyards through the wines. 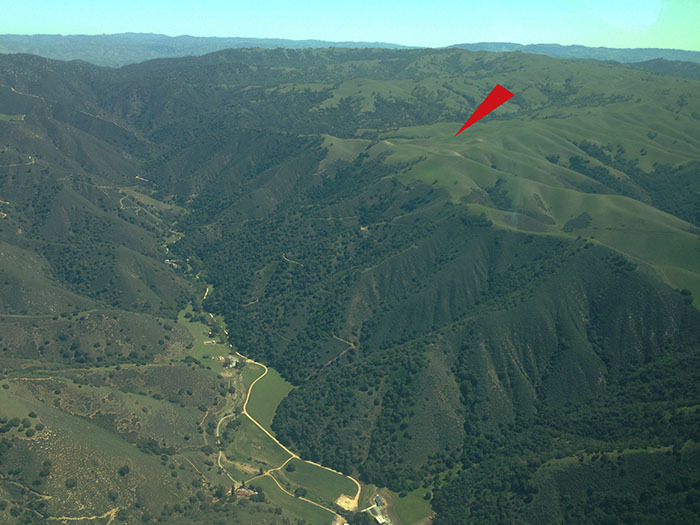 In this newsletter, I want to tell you the story of our discovery of the remarkable terroir of the Gabilan Mountains and how it has continued to unfold over the 10 vintages that we have worked with the Coastview Vineyard. In 2006 we were looking to expand our production and were in search of vineyards of distinction. At the time, we were sourcing Syrah from Fairview Ranch in the Santa Lucia Highlands and this wine had been very well received. Given the growing reputation of this area, we approached Gary Franscioni (Garys’ Vineyard, Roar) to find out if knew of any available fruit. He informed me that all he had was spoken for, but he also told me that he had just been to a spectacular vineyard in the mountains across the valley that might interest me. I wasted no time getting in touch with the vineyards owner, John Allen. John agreed to meet me at his ranch and show me his vineyard. John Allen’s 2500 acre (4 square miles!) ranch is at the very end of Chualar Canyon Road. Starting from the ranch house, we set off on ATVs to get to the vineyard. Before long we were ascending a steep and narrow dirt road carved into the granite walls of the canyon. 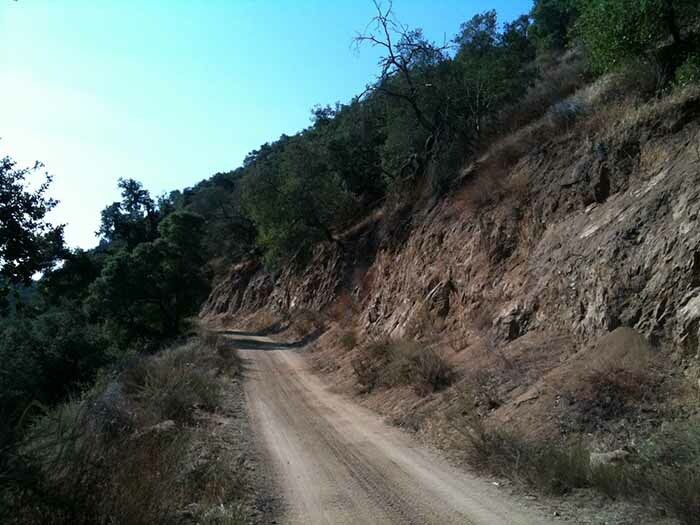 I later learned that John’s main ranch hand, Tony, carved this road into the canyon walls himself with an excavator – a testament to the tremendous effort it took to establish this vineyard site. After a couple of miles of precipitous drop offs, we finally arrived at the vineyard located on the very top of the mountain. The beautiful hillside vineyard blocks were being grazed by sheep and looked immaculate. From the top of the mountain, the views were nothing short of spectacular. The mountain dropped precipitously into the Chualar Canyon on one side and the Salinas Valley on the other side. Across the valley to the west is the Santa Lucia Highlands and to the northwest Monterey Bay is visible (hence the name Coastview Vineyard). To the north and east, the rugged Gabilan Mountains stretch into the distance with a huge outcrop of pure limestone visible across the canyon. Just out of sight six miles to the north the highly respected Mount Harlan AVA is located (with another outcrop of pure limestone). Just below us, John’s 28 acres of Syrah and Chardonnay were planted on the mountaintop hillsides and terraces. John explained that he established the entire vineyard in 1999. 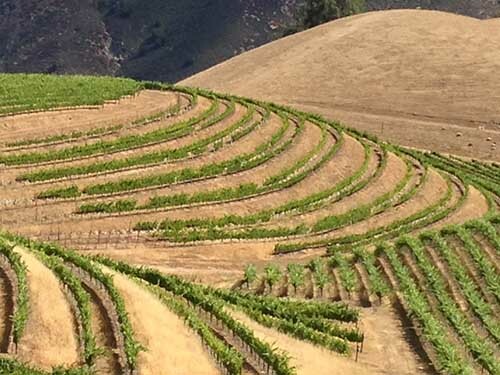 I could not believe my good fortune to have discovered an almost completely unknown vineyard with such exceptional terroir – quartzite/granitic soils and even limestone located on a mountaintop at 2400 feet with the cooling impact of Monterey Bay. John and I hit it off immediately and thus started the partnership between Big Basin Vineyards and Coastview Vineyards. From the very beginning, John appreciated the Big Basin commitment to quality and to the remarkable terroir of his vineyard. He allowed us to select those portions of the vineyard where we would harvest Syrah. 2007 marked the first vintage of working with his vineyard. It became immediately clear once we started fermenting the Syrah we were working with a special vineyard that produced exceptional fruit. It was also clear to me at that point that Coastview Vineyard shared much in common with Josh Jensen’s fabled Calera vineyards at Mt. Harlan just to the North – granitic soils, limestone deposits and elevations between 2200 feet and 2400 feet. Josh scoured California in the 70s for ideal sites to grow Pinot Noir after having worked at famous vineyards in Burgundy. Josh understood that a moderate climate and limestone soils were key ingredients in what makes Burgundy exceptional and he wanted to find something similar in California. John had a large proportion of Syrah planted in the vineyard much of which was being sold at relatively low prices. Based on the excellent reputation the Calera Pinots have garnered over the years, I had a strong feeling that Pinot Noir would perform very well at Coastview on the cooler north-facing hillsides. I also felt strongly that Grenache would be ideally suited to the soils and warmer south-facing hillsides of Coastview Vineyard. Hence, I entered discussions with John to bud over a south-facing block of Syrah planted on steep terraces to a special Alban selection of Grenache and a north-facing hillside to Pinot Noir. 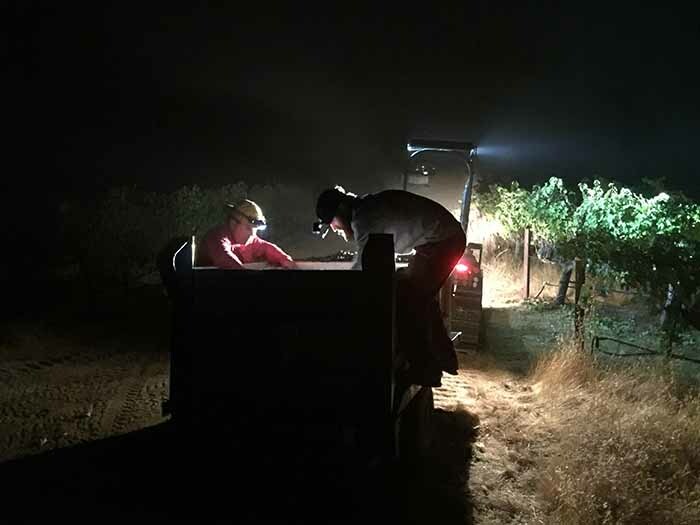 John was also interested in planting a steep west-facing hillside in the vineyard, so I suggested he plant John Alban’s favorite selection of Syrah, “Baby Block” on a rootstock known for producing high end fruit on rocky soils. John agreed and working together we made it all happen. 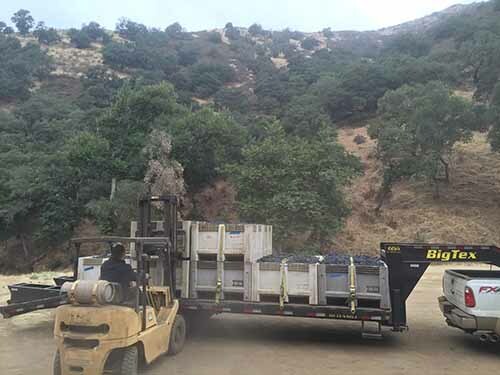 We entered into a long term agreement securing these new blocks for Big Basin Vineyards. We have dedicated ourselves over the years to sussing out how to get the most out of the fruit from Coastview Vineyard. Each year, we have experimented in small ways in order to discern how changes in ripeness level, fermentation techniques and percentages of whole cluster manifest themselves in the finished wine. John’s team has always been great implementing our suggestions, accommodating our pick date preferences and farming the vineyard at a high level. Based first and foremost on our own critical opinions of the finished wines, we feel vindicated that the choices we made with John about varieties and selections were good ones. Based on the acclaim the wines have received from critics and customers alike, there is no doubt that Coastview Vineyard is a world-class site for Syrah, Pinot, and Chardonnay (all three of which are part of this release), as well as Grenache and even the Bordeaux varieties (Cabernet Sauvignon, Cabernet Franc, Merlot, Petit Verdot and Malbec). 2007: First Vintage, just Syrah. 2008: Budded over first blocks to Pinot and Grenache and prepped new Terraces block for a Syrah planting. 2011: First grapes harvested from the steep terraces planted to Alban ‘Baby Block’ Syrah. Also first experiments with whole cluster fermentations. 2012: First substantial Grenache harvest (went into Coastview Grenache and our first Gabilan Mountains GSM. More whole cluster used in Pinot Noir fermentations with great results. First time co-fermenting Syrah with Viognier. 2013: Three Pinot lots fermented with 56%, 26% and 0% whole cluster respectively. Co-fermented Syrah with Viognier again, and fermented both Syrah and Grenache lots with up to 100% whole cluster. 2014: Pinot fermented 100% whole cluster, along with various lots of Syrah and Grenache. First vintage where we bottled a “Terraces” Syrah that was sourced entirely from the steep terraces we had planted to Alban Baby Block. 2015: Our first vintage working with Coastview’s small block of Bordeaux varieties. We look forward to sharing this with you in the future. First vintage producing a varietal Viognier. 2016: Our biggest vintage where Coastview fruit made up nearly 50% of our total production. You might say we are putting our money where our mouth is…. 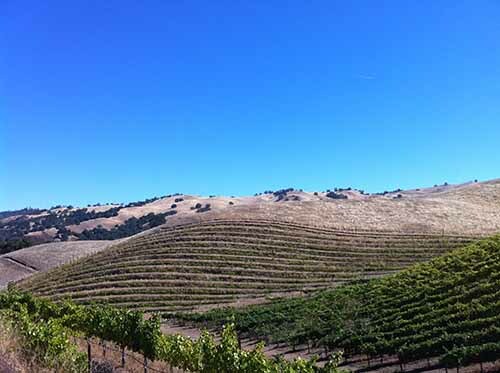 2017: We hope to finalize our American Viticultural Area application for the Gabilan Mountains! We truly hope you enjoy the most recent releases from the Coastview Vineyard. John Allen has created a masterpiece. Each year the farming and winemaking has evolved as we have learned together. My appreciation only gets deeper each year as we too gain more experience with the fruit. When I was walking the famous Syrah vineyards of Hermitage and Cornas this past Spring, I saw soils that looked identical to those at Coastview. When I tasted these famous wines, I could see that signature of Syrah grown in granite soils ever more clearly. This no doubt has informed our winemaking and I feel that some of the Syrah produced in 2016 is evocative of those I tasted in the Northern Rhone. We are excited to share with you these vintages still in barrel or unreleased including three new wines: Viognier, Terraces Syrah and the red blend produced from the Bordeaux varieties. John Allen, and his sons, Parker and Kendrick, have much to be proud of with this vineyard. We hope you appreciate the wines every bit as much as we do.